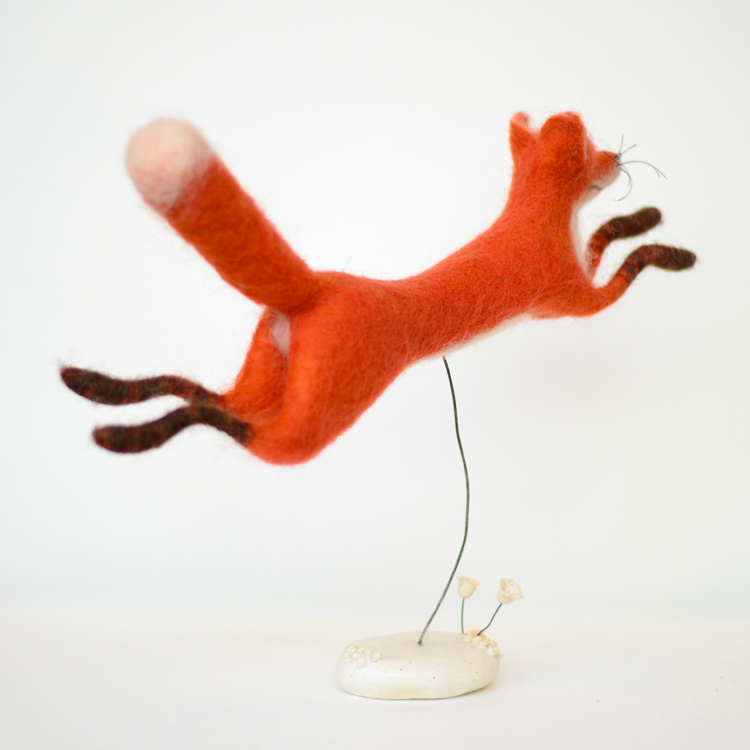 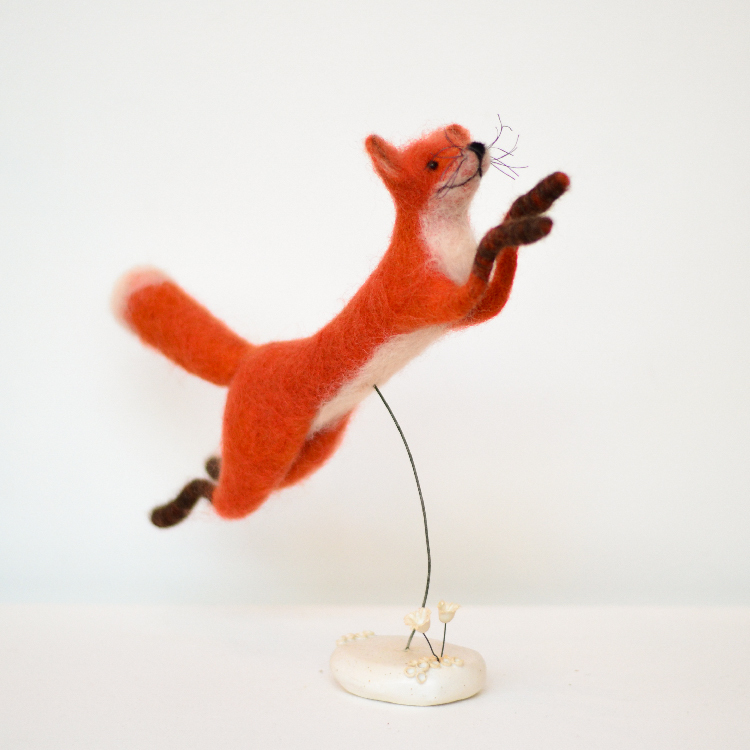 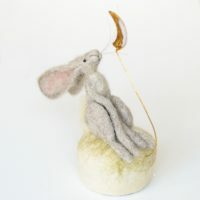 Created from needle felt work this happy red fox is suspend with wire on a ceramic base. 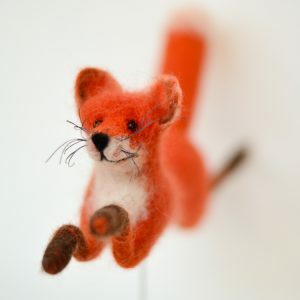 This little fellow has a cheerful caricature and features. 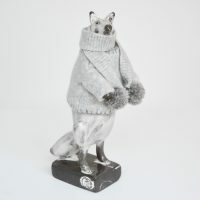 Ceramic Base Size: W 6 cm, H 2.5 cm. 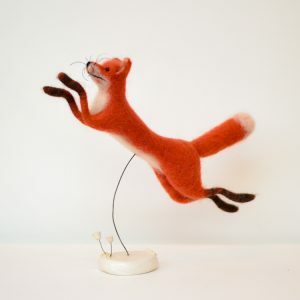 Felted Fox Size: W 33 cm, H 24.5 cm, D 5.5 cm. 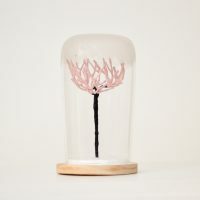 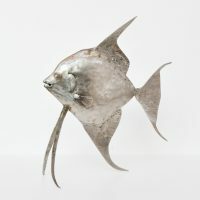 Read more about Tracey Benton here.